“Snafu” – Peggy is cornered and more vulnerable than ever as Leviathan makes their move against her. 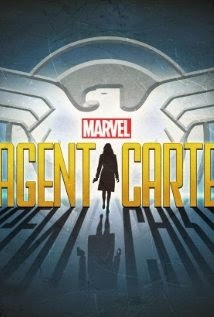 As the SSR zeroes in on Howard Stark, they may pay the ultimate price as they find their true enemy is closer than they realized on “Marvel’s Agent Carter,”TUESDAY, FEBRUARY 17 (9:00-10:00 p.m., ET) on the ABC Television Network. Guest starring are Ralph Brown as Dr. Ivchenko, Bridget Regan as Dottie Underwood, Kevin Cotteleer as Alex Doobin, Lesley Boone as Rose, Travis Johns as Agent Corcoran, Sarah Bloom as Loretta, Lincoln Melcher as Emmett, Madonna Cacciatore as Ovechkin’s Mom, Rob Locke as Surgeon, Pawal Szajda as Ovechkin, Lisa Pescherine as Female Salesclerk, Sandra Gimpel as Elderly Woman, Chris Palermo as Middle-Aged Man, Diana Gettinger as Movie Usherette, and Mary Beth Manning as Woman. “Snafu” was written by Chris Dingess and directed by Vincent Misiano.